And you thought that laundry pegs were purely for the purpose of hanging the washing……. 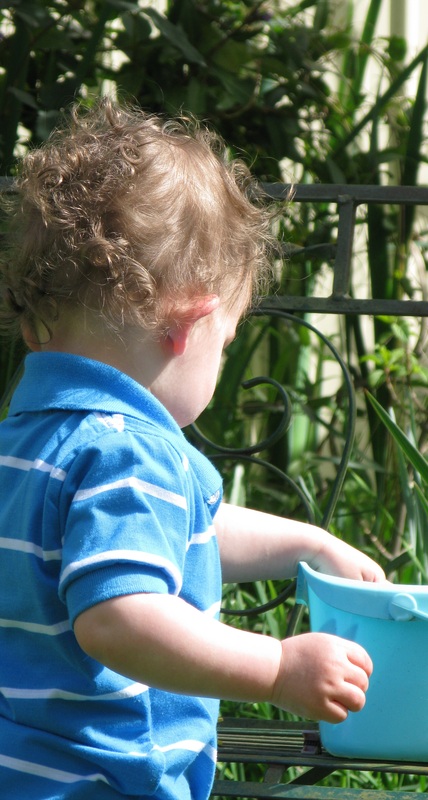 A collection of pegs and the peg basket provide wonderful entertainment for a toddler. I tend to produce them when we go out into the garden to play on the lawn. Children in this age group love putting objects into containers and tipping them out again. If you join in the fun, this simple activity will have you laughing and having fun together.